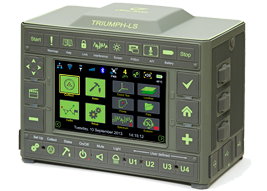 ALPHA 2 receiver is based on our TRIUMPH Technology implemented in our TRIUMPH Chip. 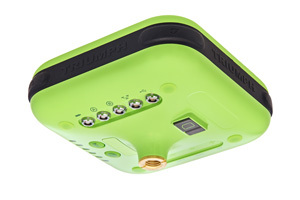 For the first time in the GNSS history we offer up to 100 Hz RTK. 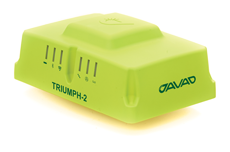 216 channels of single or dual frequency GPS, Gallileo and GLONASS in a small attractive, sturdy, and watertight box, which contains either TR-G2, TR-G3, TR-G2T or TR-G3T board. 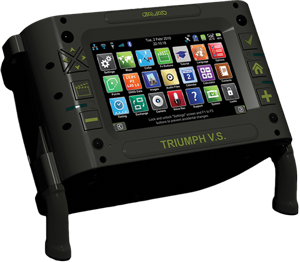 The new TRIUMPH-1M receiver inherits the best features of our famous TRIUMPH-1. Based on our new 864 channel chip, equipped with the internal 4G/LTE/3G card, easy accessible microSD and microSIM cards, includes “Lift & Tilt” technology. Conventional RTK uses one base and one rover yielding only one baseline with no checks and balances. Surveyors appreciate the power of networks, where many points and repeated measurements along with network adjustment remove outliers and give more accurate results. To improve the reliability of RTK, some users employ data from more than one base. Multiple bases are rare and not conveniently available. 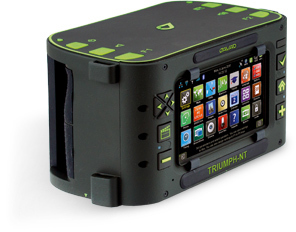 216 All-In-View Channels; GPS L1/L2/L2C/L5; GLONASS L1/L2; 5 Hz RTK/DGPS Rover; RTK/DGPS Base; 5 Hz Raw Data Recording; 256 MB Internal Data Storage; 4 GB MicroSD Card; Two USBs; RAIM; Integrated High Resolution (800x480 pixels) Controller and Software; Advanced Multipath Reduction; WAAS/EGNOS; Ethernet; WiFi 802.11b; Bluetooth; Removable/Rechargeable Li-Ion Battery Pack (7.2V, 8.8Ah(63.36Wh), >10 Hours); External Power Supply/Charger; Soft Carrying Case; Power and USB Cables; Support Legs.